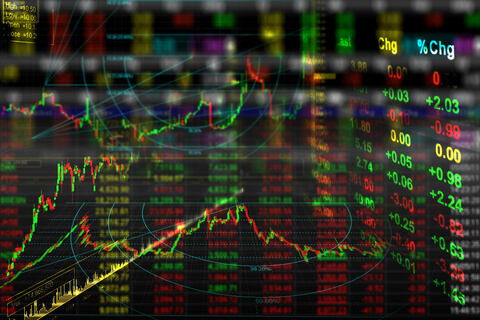 The impetus for creation of the Trading Desk technology was the implementation of new media technologies, transition to a new level of customer attraction, the need to reduce costs for purchasing advertising, reduction of cost of intermediation channels, as well as the need to attract and retain talented managers in the field of digital media. As a result, the Trading Desk technology has reduced the cost of attracting customers and has implemented more effective purchasing of digital advertising. One of the reasons the Trading Desk was created was for the desire of media agencies to reduce their labor costs. Labor costs, associated with the purchase of equipment in digital media, are several times higher than in traditional media because of the complexity of digital media environment. As a result, the cost of media experts in digital industry is increasing, which affects the final cost of attracted customers. Thus, media agencies aimed at finding a new technological tool allowing them to achieve greater efficiency and effectiveness of placing advertising with less effort. As a result, the possibility to buy digital advertising in real-time was implemented using the Trading Desk technology. At the same time, the emergence of new media technologies accelerated the development of Trading Desk. As soon as new technologies and targeting tools became available in digital media, the agencies started investing in platforms, which provided easier management of client audience data. Attracting new customers became more automated, in turn, significantly reducing the burden on specialists in a complicated digital media environment and provided better targeting. Thus, the Trading Desk technology gave agencies a new opportunity to work with big data. The Trading Desk technology helped in reducing the cost of intermediaries. As we know, digital tools have a complex nature. As a result, many intermediaries, such as advertising networks and other players of the advertising market, serve as a link between clients, agencies and advertising platforms. Mediators increase the cost of the published content; this leads to an increase in the expenses of client’s advertising. The advantage of Trading Desk is that this technology optimizes the costs of intermediaries. Implementation of the Trading Desk technology helped to attract and retain creative digital media staff members. The classical model of planning and buying digital media is complex and administratively burdensome. This process requires a significant amount of time spent on monotonous negotiation of information with advertising platforms and networks. Thus, this does not leave time for creative advertising. Automatization of these processes helped to attract new talented managers to the industry of digital media. These specialists cannot deal with routine processes and endless agreements, which are not related to “real advertising business.” Transition to buying advertising through Trading Desk released a significant amount of administrative time, allowing the digital media industry to attract creative professionals and keep them focused on their expertise. The challenge for any company is to minimize costs and increase its profit. Generally, the costs for advertising are a large proportion of the budget. Thus, advertisers always try to find a way to reduce the cost of attracting new customers, increase the effectiveness of advertising, and increase the number of clients. Thus, using the Trading Desk technology, agencies found the best way to determine the target audience, reduce the cost for attracting of new customers and increase the effectiveness of their work. In the next blog of the «Trading Desk insight» cycle, we will talk about the benefits of the Trading Desk technology.